Piston Kit 47mm-70cc-70 head (52mm Stroker Crank Piston). Piston Kit 47mm (70cc) for the 52mm stroker crank. For a 70cc head. .
Piston Kit 47mm (70cc) -GB5- for 12 volt cdi engines with a 50cc 6 volt old style head. 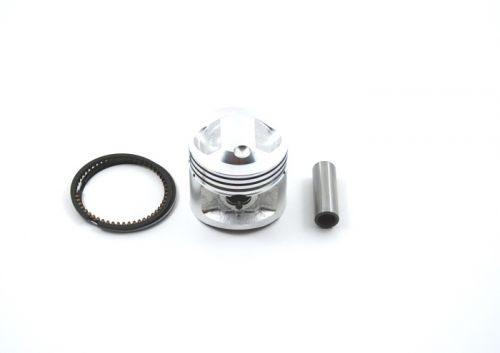 Piston Kit - 377- 51mm for 50cc stock head. For 6 volt engines with a 50cc old style head. Piston Kit 88cc (52mm) -377- with the 70cc head. To suit the 6 volt engines.